Are YOU Ready for The Third Step? This is the tale of Frankie, a young, disaffected amateur boxer -- a punching bag. A drunken drug addict, a broken loser. Frankie's only successful relationship is with his grandma, Cora. Rumor has it Cora is a white witch. She, along with a handful of others, serve as his moral compass -- a thankless and hopeless task. Frankie fights a lifelong struggle to find an understanding of the creator of the universe, not the poisoned caricature painted by the church and the righteous and holy people who torment him. The journey is littered with tales of drug smuggling, prostitution, and murder. Our boy Frankie even manages to become entangled with a woman who may be the devil herself. Fate deposits him in New Orleans to face his demons, both real and imagined. A brutal awakening forces him to come to terms with his addictions, but his search for a deeper understanding of this God entity he cannot understand, and his need to connect with his soul, could be his ultimate addiction. Excellent!! Awesome writing and interesting story. Highly recommend to anyone struggling with addiction or struggling to understand addiction and spirituality. 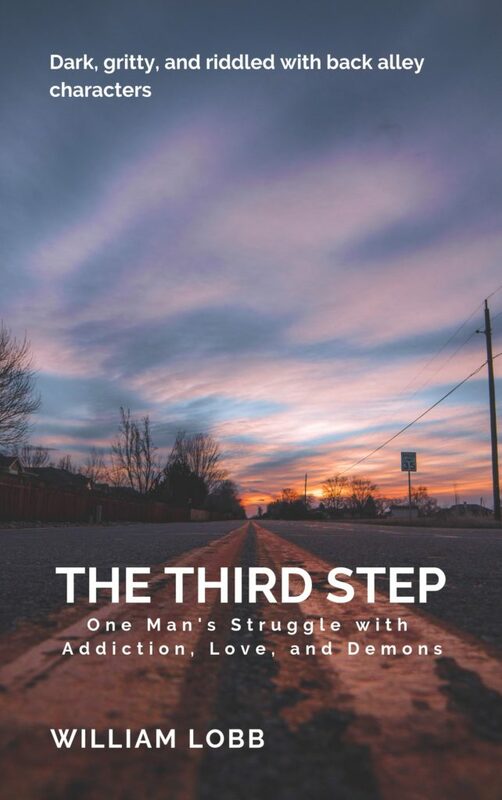 Haunting, well-written, and addresses via dramatic telling, the challenge so many addicts have coming to peace with the third step in their addiction road to recovery. Sometimes brutal, sometimes hilarious and always thoughtful, this is an interesting find and look forward to reading more from this author. Whew, so where to begin with this one! Frankie’s story is long and painful, made worse by the fact that he is not a likeable character yet he is written in a way that leads you to root for him just the same. It seems like the more I read, the more he lost until it got to the point where I wondered if he would ever feel hope again, which of course meant I just couldn’t put the book down. This is a very dark and complex story about a young man named Frankie. He is an amateur boxer, a drug smuggler, an alcoholic and drug addict as well as a murderer. Despite all his faults I found myself really liking him and even identifying with some of his struggles. We follow Frankie on a very dark journey, he is dealing with addiction and ultimately looking for spiritual salvation. He is a very complex character who has many demons, some real and some imagined. Along his journey he comes into contact with many important figures in his life, some good like his grandmother and others who are truly evil. I really liked this book, I found it to be very well written with well developed characters, the author was able to capture the essence of someone hitting bottom and I recommend this book to someone who likes a deep dark story of redemption and insanity. The Third Step, Lobb’s novel about a tortured, haunted man named Frankie, is difficult. It took me a bit to get through Lobb’s grim tale, and it took me even longer to try and figure out how to capture, in words, the emotional journey of Frankie’s life. I don’t like Frankie; he’s not a great guy. He’s impulsive, angry, bitter, and most of all, lost. I wanted to put the book down because it was uncomfortable to read. Yet I still felt drawn to his story. Frankie’s shadows were foreboding, but familiar.